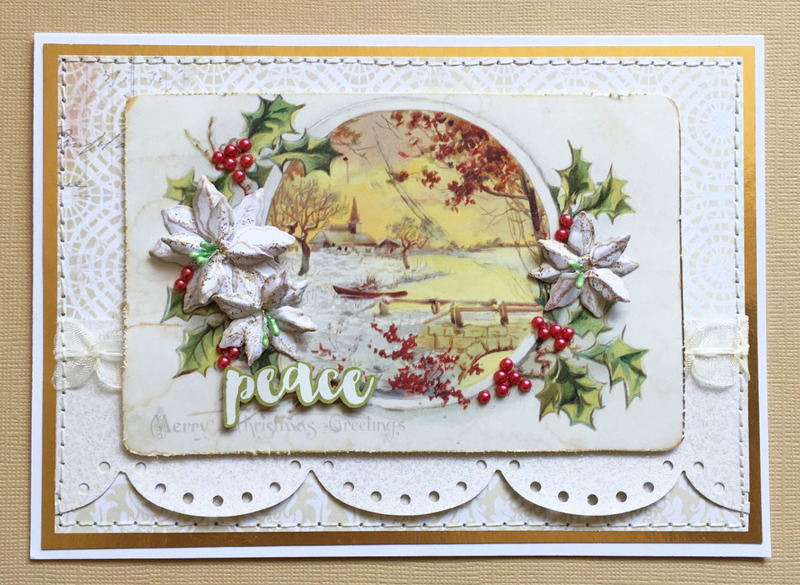 Stephanie says, "I started with the peace flash card and built my card around that adding stickers and rub-ons and layers on Authentique Holiday papers." 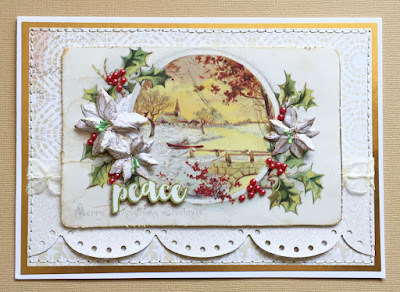 Lauren says, "I scanned and slightly reduced a vintage postcard with a peaceful scene, then trimmed the word "Peace" from a Simple Stories journaling circle in which the overall design didn't fit my vintage vibe at all, but the script worked just fine! I'm still obsessed with Heartfelt Creations' dimensional flower system, so the sweet Poinsettia Clusters are making another appearance; this time in white and gold. I used this week's awesome Sketch Saturday layout though I rotated it ninety degrees counterclockwise." 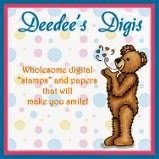 Link your peace-centric masterpieces here by 6pm (EST) by Wednesday, September 19th. 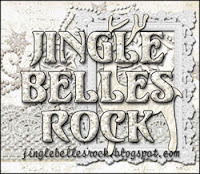 Keyword for galleries and Flickr is JB:18:19.